Launching Aqdar World Summit under the guidance and patronage of Lt General H.H. 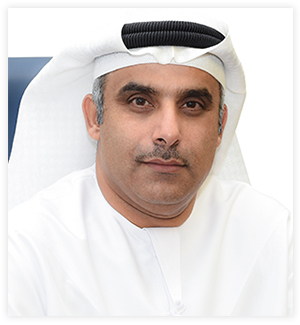 Sheikh Saif bin Zayed, Deputy Prime Minister and Minister of the Interior and in cooperation with the Khalifa Empowerment Program for Students (Aqdar) and INDEX Holding is timely, due to the challenges and obstacles that Arab youth in particular and youth across the world are facing at the present time. Firstly, allow me to extend my deepest gratitude for the team who has been working day and night in order to ensure a successful Summit and organize this prestigious international event that emphasizes the role of the UAE and its leadership in organizing international events. I also would like to acknowledge all of the exerted efforts that the team has been giving in addition to the enthusiasm while liaising with the Higher Committee. Their teamwork and dedication is outstanding, which resulted in the outcome of “Aqdar”. This pioneer program, launched in the UAE, has turned growth and development into routine across various academic fields. One of the distinguishing features of this program is the range of its general education. From primary to university, we firmly believe that education is the cornerstone of fortifying generations capable of coping with future challenges. On the other hand, we also strive to encourage educational institutions and human resources working in the fields of education, prevention, and awareness to show their professionalism especially when addressing current challenges and promoting continuing education programs. Therefore, Aqdar World Summit is a noteworthy international event and a perfect platform for presenting various educational and behavioral products and programs. The Summit also provides the opportunity for the largest number of students, parents and those interested in the education sector to learn about the latest international developments and research related to the Summit’s goals. Through innovative and specialized workshops aimed at helping parents and families resolve issues positively, they can contribute to the discussion regarding the challenges and problems faced by many in this generation and in those to come. Aqdar World Summit is an icon in the field of education and is considered an international platform that anticipates the future. I would like to say that the Summit would not fulfill its objectives without the directives and attention given by H.H. Lt General Sheikh Saif bin Zayed, Deputy Prime Minister and Minister of the Interior of the United Arab Emirates. We strive, through Aqdar Word Summit, to create an outstanding platform for all leaders, decision-makers, experts, and leading companies specialized in education, youth, students, and parents. The main objective of the Summit is to create a proper scientific and international dialogue between these groups while reflecting the cultural diversity in the region and creating a clear vision that enables young people to build a secure future replete with peace and tolerance. In order to embody the vision of this Summit, we have chosen the motto to be: “Nourishing Minds, Flourishing Nations”, through which we aim to build student capabilities, skills, and knowledge to ensure they are ready for any challenge that they may face and equip them with the tools to help them move forward towards a bright future and enable them to deal positively with obstacles and challenges. Through an organized integration between relevant institutions, these efforts will help them unite their visions to serve “Aqdar World Summit,” which adopts and supports “The Role of Moral Education in Academic Institutions Regionally and Internationally to Combat Global Challenges”. 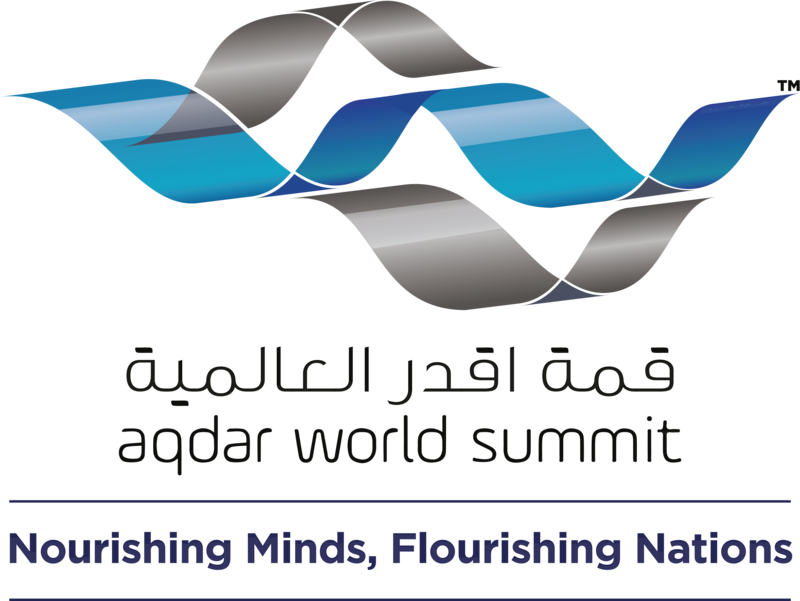 In its first edition, Aqdar World Summit features an annual conference that welcomes a number of prestigious officials and decision-makers from around the world. The conference will also feature a number of hands-on exercises in combating intellectual and moral extremism. The conference focuses on building preventive strategies and policies to raise awareness of the challenges and risks facing students and youth in general. The Summit also includes a promising exhibition that displays everything related to student environment both at school and in college, in addition to dedicated workshops aiming to teach and inform students and parents about international trends. These are held in coordination with Ministry of Education which has made remarkable efforts to organize these specialized workshops in addition to the Abu Dhabi Education Council (ADEC) and the Knowledge and Human Development Authority, who have been working hand in hand to highlight the significance of these workshops. It is our hope that the Summit will succeed in achieving all expectations on both official and social levels, represented by working in unifying all efforts and concepts in the field of education, awareness and student prevention. In addition, the Summit aims to open new horizons for students, enabling them to build bridges of trust between them and their parents, while also meeting their own needs and requirements. We also aspire to build bridges of strategic partnerships between educational institutions and families to ensure the overall benefit of young people. We strive to highlight the global initiatives of the United Arab Emirates and maintain its position on the global arena, which wouldn’t be possible without the modern and ambitious initiatives offered by the United Arab Emirates to the international community under its wise leadership which has always regarded human development and its vital resources as of utmost importance. On a final note, I would like to extend my gratitude for all of those who have participated in the success of this Summit. It is indeed an honor that INDEX Conferences and Exhibitions – member of INDEX Holding is partnering with the Ministry of Interior in the UAE to organize the first “Aqdar World Summit”; a prestigious, educational and international gathering launched by the Khalifa Student Empowerment Program. The Aqdar World Summit is being held in Abu Dhabi, the universal capital of peace and tolerance, and under the patronage of an exceptional leader, Lt. General H.H. 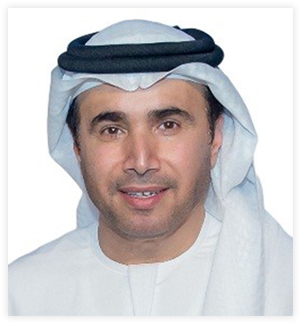 Sheikh Saif bin Zayed Al Nahyan, Deputy Prime Minister and Minister of Interior, who is aware of the amount of challenges that the new generation encounters in light of the recent international fluctuations. The Khalifa Student Empowerment Program has created an international platform for students that encourage fruitful dialogue between nations. INDEX believed in this initiative and vision, therefore, we have been working diligently to promote the Aqdar World Summit through our global business network and through our international participation in conferences and exhibitions. A very positive feedback was received about the summit as the agenda of the summit was well received by many key international decision makers and specialists. INDEX has encouraged the participation of a number of international governmental and semi-governmental organisations in the Aqdar World Summit to share their knowledge and success stories in the domains of health, education and security which will prove to be of a great opportunity for us to learn from, and adapt to what suits our culture. As part of the underlying idea, INDEX has geared up to host this summit and make it a very prestigious international platform through organizing specialized workshops delivered by renowned experts who are very famous in their respective fields. The workshops are designed to create an interactive platform for hosting dialogue sessions, problem solving, and developing personal capacity and exchange visits. In addition, we have dedicated resources and services of INDEX Holding member companies specialized in media, logistics, technical support, and hospitality to serve this event and make it a prominent one on the world map.